← Jennings: Rock Is Dead? 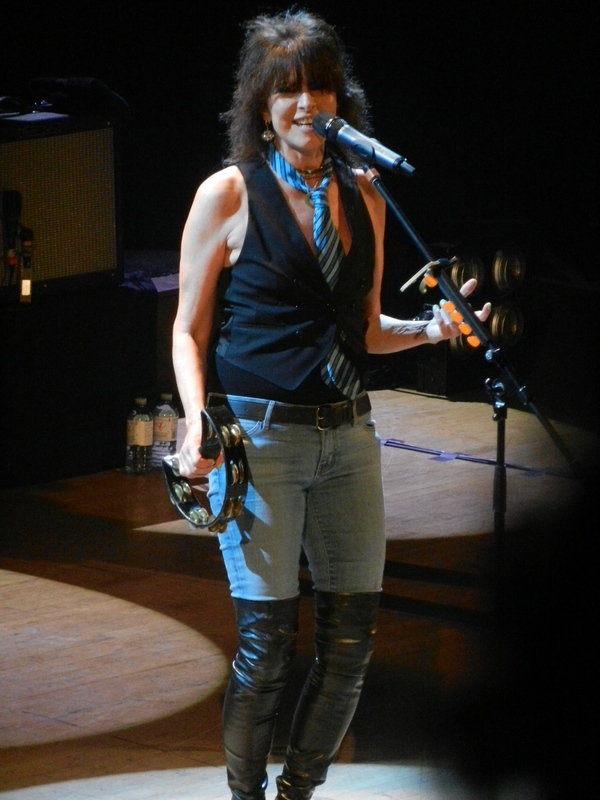 It had been almost five years since Chrissie Hynde last graced a North American stage. It was much too long as far as the fans in attendance at Massey Hall Thursday evening were concerned. The Toronto show also marked the first date of her twenty-five date tour in support of her solo release, Stockholm. The show began with a pair of lessor known Pretenders songs, “Don’t Lose Faith In Me” and “Biker”. Following the pair of slower tempo songs came the gem “997” from her 1994 release Last Of The Independents. The set list for the most part was as advertised, a mix of some Pretenders classics as well as songs from Stockholm, her very first solo release. But for her diehard fans she also chose some rare Pretenders tracks as well. The show garnered some steam as Hynde pulled out the stellar “Talk Of The Town” and promptly followed up with an arousing version of “Kid” which brought about the night’s first standing ovation. Hynde was a little reserved when it came to talking to the crowd as she focused on cramming as much music into her ninety minute set as she could. Her band included guitarist James Walbourne who also has been the Pretenders guitarist since 2012. He also doubled as the opening act as he and his wife singer Kami Thompson and their folk rock band The Rails started the evening off. Walbourne really shone through on the many solos he played throughout the evening. Perhaps none more so than the mega-hit “Back On The Chain Gang”, a song which was replicated and sounded eerily close to the recorded studio version. Hynde has not lost a thing. If you were a stranger to her and her music, (where have you been) one would not believe that she just turned 63 in September. If you were given a current photo, it would be hard to distinguish what year it was taken. Hynde played with the exuberance and fervor of what she did over thirty years ago. Her voice was nothing less than sensational. Not bad for a gal from Akron, Ohio, her hometown for which she payed homage to with two songs, “My City Was Gone” and “Downtown”. The band were call out for two encores, which contained three songs each and oddly enough none of her biggest hits. She did choose to close with her first single from Stockholm. “Dark Sunglasses” which many in the crowd seemed to be familiar with. It is not everyday an artist of Hynde’s caliber comes along. She has gotten better with age, still writing and recording great music. It was just a shame for whatever reason the venue was played to about 70% capacity. Those who were there were treated to one of the best concerts of the year in this reviewer’s opinion. Those who weren’t? You missed out on seeing one of the most relevant female artists in the history of music.